Rochdale Street | Fleetwood Construction Ltd. The 2011 Canterbury Earthquakes shook this 1920s beauty up badly. It sustained moderate structural and cosmetic damage throughout the home, and also needed releveling. Our client used this opportunity to completely overhaul his home, placing a modern twist into this historic gem with a full renovation. Our challenge was incorporating the classic, historic elements of the original home with the client’s bold, modern renovation plans. The Fleetwood Construction team reimagined the living areas, installing a double-sided fireplace inside a wall panel to separate the dining room and lounge. While the art on the wall and the colour scheme may be quite modern, the timber flooring we installed ties back to the original heritage and character. The glossy black kitchen with marble bench tops and island workspace create an edgy, modern feel. The wide windows let in plenty of sunlight, which plays off the kitchen’s reflective surfaces, making this room naturally bright. Simply perfect for preparing meals and entertaining guests. The new modern bathroom is enough to take your breath away. The black bathtub, black tiling and white highlights made this personal space one that truly reflected the vision and wishes of our client. The entire Fleetwood Construction team worked very closely with our client every step of the way to ensure that their funky, modern vision was realised, down to the last detail. We sourced the right contractors with the skills to bring our client’s vision to life and kept this demanding project running to schedule. 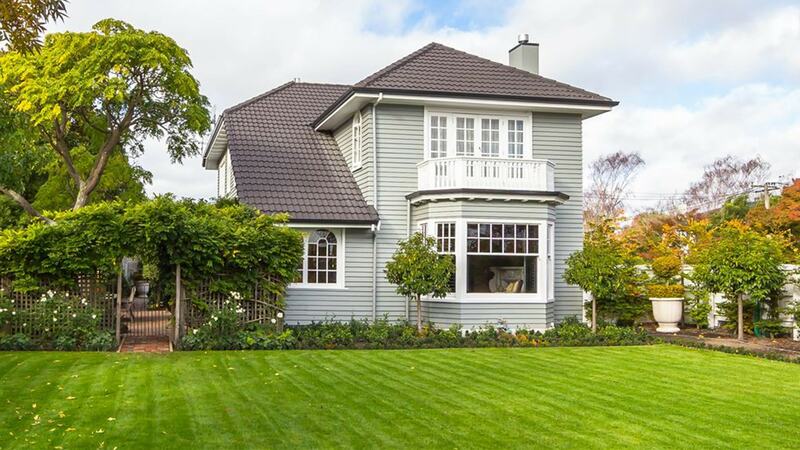 This Christchurch villa is now structurally sound, level, and completely transformed. Do you have a decorative vision for your next home renovation? Want a modern take on a classic home, or are you looking for a builder who will work with you to create something a bit different? For a free chat on your next Christchurch renovation project, contact the Fleetwood Construction team on 0800 381 381.